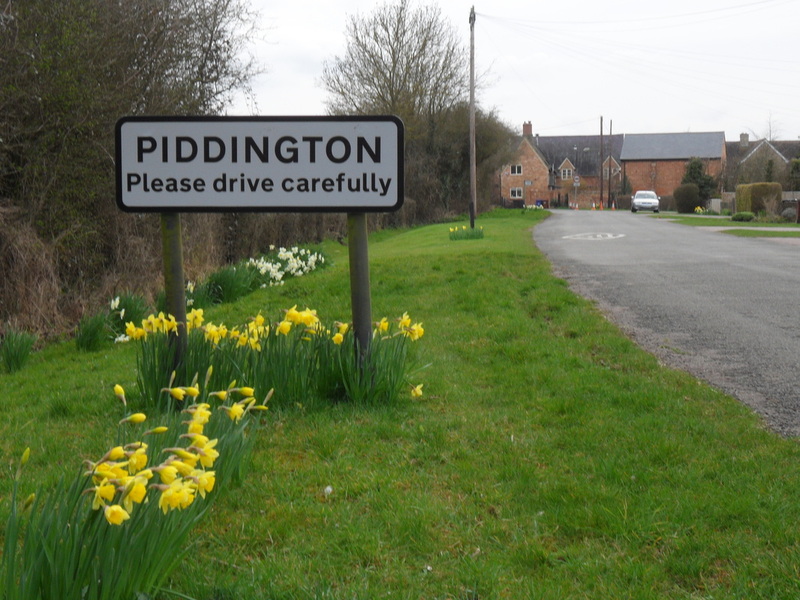 Piddington is a village about 4.5 miles (7 km) south-east of Bicester, in Oxfordshire, England. Though still quiet and unassuming, Piddington today is a friendly community with a well-used Village Hall and several clubs and groups. To be among the first to know about important issues affecting the village and get handy reminders of upcoming events from the Parish Council, PVHMC and St Nicholas' Church, sign up for our regular email updates. On this website, the first place to look for news, announcements and notices of events is the Noticeboard. Regular activities are found here, and forthcoming events are listed here. The Parish Council has produced a Welcome Letter for new residents that gives lots of useful information about the village. You can read the Welcome Letter here. This website is for all residents, past and present, and those interested to learn more about the village. Just because something interesting or useful doesn't feature here, doesn't mean it shouldn't do - just that no one has told us about it! Remember, we can only include material or list events if we know about them. If you would like to list an event or activity in the 'What's on' pages, or you have any other material that would make the website an interesting and useful resource for the village, please contact us. The Piddington Circular Walk is one of a series of guided trails to be established by Cherwell District Council. The route is an attractive country walk, starting at the Village Hall car park and taking in Muswell Hill, the highest viewpoint in the southern half of the district.